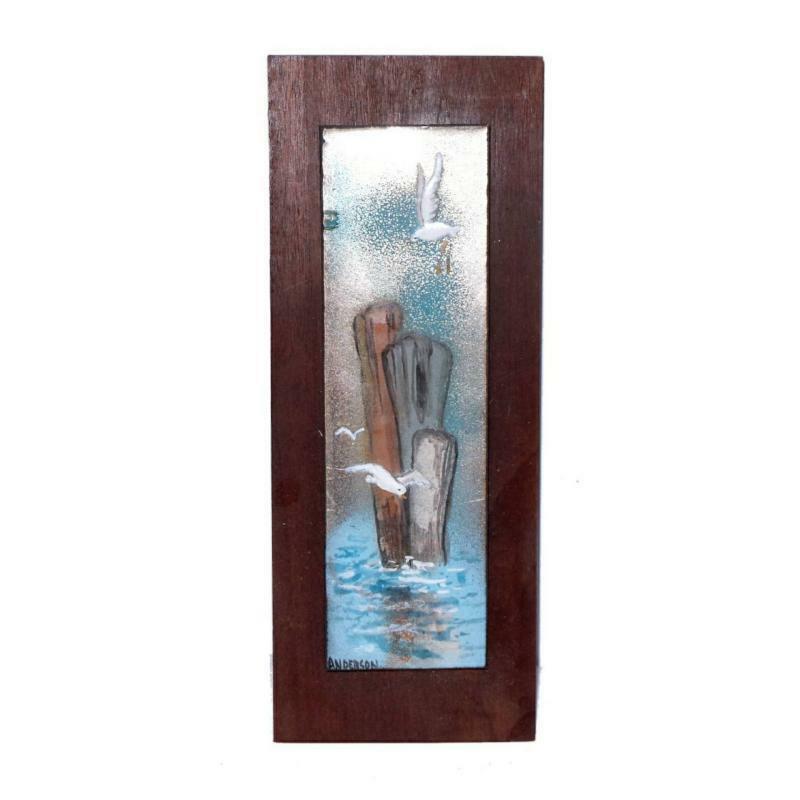 Rowena Anderson Enamel Painting on Copper of a Nantucket Shore Scene of Seagulls by a Pier Pillar. Rowena Anderson Enamel Painting on Copper of a Nantucket Shore Scene of Seagulls by a Pier Pillar. 6 3/4" x 2" copper plate mounted on an 8 5/8" x 3 3/8" board. Feel free to make an offer.